It was Veterans Day inWashington,D.C., and evolution was the farthest thing from my mind. I had accompanied my friend Fr. Jack Murphy, an Army veteran, to provide prayer support for him and for other veterans who were standing up for life at a D.C. abortion mill. A large group of pro-abortion hecklers had turned out to harass us, and the police cordoned off the parking lot and forced us all into one small area. A young man in his twenties held up a poster of a preborn child with the caption “Does this look like a blob of tissue?” Two young women who looked like college students mocked him. “Didn’t these people take high school biology?” one of them asked the other. “If they knew anything about evolution, they would know that the fetus isn’t human until the third trimester.” The other said something about the baby in the poster going through “the fish stage.” Another woman added that the souls of the “fetuses” were better off being aborted, since they would be reincarnated in better circumstances. It took many years for me to realize how many of the lies I heard that day derived whatever credibility they had from evolutionary theory. The denigration of the unborn child as pre-human, embryonic recapitulation, and the rationalization of reincarnation—not one of them could endure the light of the Gospel of Jesus Christ as it had been proclaimed by the Fathers of the Church. Yet such falsehoods thrive in the miasma created by the unsubstantiated claims of evolutionary theory. Sacred Scripture teaches that Jesus was a man like us in all things but sin and that He was already fully human in the womb of the Blessed Virgin a few days after the Incarnation when His Mother visited her cousin St. Elisabeth. The Sacred Liturgy affirms the full Humanity of Jesus from the moment of the Incarnation on March 25, just as it affirms the sinless humanity of the Blessed Virgin from the moment of her Immaculate Conception. Thus, the Church’s teaching concerning the first Adam and the first Eve perfectly complements her teaching concerning the New Adam and the Second Eve. In both cases, a human body and soul were created together, not the soul before the body or the body before the soul. This teaching on the creation of Adam and Eve has been the common teaching of all of the Fathers, Doctors, Popes and Councils since the time of the Apostles. However, recent Popes, while not abrogating that teaching—which would be impossible—have held back from affirming it unequivocally for one simple reason. Since Darwin, they have been afraid to rule out the possibility that natural science might discover irrefutable evidence for human evolution. In one sense, their hesitancy is understandable. It appears to follow from the Augustinian principle (affirmed by Leo XIII in his encyclical Providentissimus Deus) not to deviate from the plain and obvious sense of Scripture, except when reason dictates or necessity requires. In Humani generis, Pope Pius XII asked Catholic scholars to weigh the evidence for and against the hypothesis of human evolution, while defending many elements of the traditional interpretation of Genesis. To this day, the Holy Father’s request has not been heeded by the community of Catholic scholars, although there are three reasons why this request should long since have led to a definitive rejection of the human evolution hypothesis. The first reason has to do with the limitations of natural science; the second with the actual state of the scientific evidence; and the third with the obvious harm that this hypothesis has done and is doing to souls. Implicit in this enthusiastic attitude towards the scientific investigation of nature was the understanding that the origin of the order of nature and of the natures of living things could not be explained by natural processes, or, to use the words of St. Thomas Aquinas, “In the works of nature, creation does not enter, but is presupposed to the work of nature.4” Thus,St. Thomas and William of Conches knew for certain that the origin of human nature—the creation of Adam and Eve—lay beyond the sphere of natural science. While natural scientists could learn many things about the structure and functioning of the human body, it was obvious to the medieval doctors that scientific research could no more shed light on how God formed the body of Adam from the dust of the earth than it could shed light on how Jesus changed water into wine at the Wedding of Cana. The great Doctors distinguished between the order of creation, when God created the different kinds of creatures by His Word, and the order of providence, which only began after the creation of Adam and Eve. Modern natural science has almost completely abandoned this distinction between the order of creation and the natural order, or the order of providence. Ironically, however, twenty-first century natural science has amply confirmed the reasonableness of this distinction. For example, in the field of genetics, natural scientists have learned a great deal about the transmission and variation of genetic information, but no scientist has observed the spontaneous appearance of a new genetic program, such as would be needed to produce a new organ, like an eye or an ear, in an organism that lacked such an organ. Instead, twenty-first century genetics has discovered that, far from evolving or increasing in functionality, genetic information degrades and devolves over time, at a rate that, in the words of one geneticist, places “a limit on the length of vertebrate lineages”—a limit much lower than the ages assigned to them by evolutionary theory.5 Indeed, the discoveries of 21st century genetics have been fatal to all current hypotheses of human evolution, as they demonstrate that it would be impossible for a common ancestor of chimpanzees and men to acquire the necessary “beneficial mutations” without acquiring a greater number of deleterious mutations—a number that would lead to extinction long before human evolution was achieved! In short, the hypothesis of human evolution not only collides with the unanimous teaching of the Fathers of the Church and with nineteen hundred years of authoritative magisterial teaching; it has also come into fatal conflict with the findings of natural science. Indeed, there is no doubt that if the balanced examination of the evidence called for in Humani generis were undertaken today, the hypothesis of human evolution would be rejected. Tragically, most Catholic intellectuals have not had the opportunity to study the evidence against evolutionary theory and continue to embrace the theory in spite of the harm that it has done—especially to respect for the pre-born child. Faith in the truth of the evolutionary hypothesis has repeatedly led scientists and medical researchers to believe that organs of the human body that have no apparent function are “vestigial” and expendable. The full extent of the danger inherent in this unsubstantiated assumption emerged soon after the publication of Origin of Species with the popularization of the concept of embryonic recapitulation byDarwin’s disciple the German medical doctor and professor of anatomy ErnstHaeckel (1834-1919). Darwinhad argued that similarities in structure among diverse life forms indicated that they had all evolved from a common ancestor. According to Haeckel, the existence of similarities in embryos of various kinds of organisms proved that the higher life forms “recapitulated” their evolutionary history before birth and that they had all descended from a common ancestor. To make this “proof” more compelling for his contemporaries, Haeckel doctored drawings of the embryos of fish, salamanders, chickens, turtles, rabbits, pigs, and human beings to exaggerate their similarities and minimize their differences.6 AlthoughHaeckel’s fraud was discovered and exposed during his lifetime, the evolutionary hypothesis demanded common descent, and the concept of embryonic recapitulation continued to exert a profound influence on the study of embryology for many decades. Human embryos pass through a “gill slit” stage. These are “developments in the direction of man,” to use Fr. Rahner’s phrase. Therefore, to accord the human embryo the dignity of a human being from conception is biological nonsense. In reality, of course, the development of the human embryo is quite distinct from that of the other vertebrates in Haeckel’s drawings, and there is no empirical evidence to support the claim that he (or she) passes through any stage that is not fully human, in the biological sense of the word. However, Fr. Rahner’s misguided faith in evolution continues to erode the faith of Catholics in the humanity of the unborn child. Ours is not the only period in Church history when the conventional wisdom of Catholic scholars has been influenced by a false hypothesis in natural science. Today the Catholic Church celebrates the feast of St. Thomas Aquinas. Anyone the least bit familiar with the writings of St. Thomasknows how deeply he revered the Word of God. However, with regard to the time of human ensoulment, St. Thomasallowed Aristotelian natural science to overshadow the plain sense of the Word of God. Under Aristotle’s influence, St. Thomaswrote that human life begins forty days after fertilization. In contrast, the Eastern Fathers of the Church who spoke the language of Aristotle were much less likely than St. Thomas to let “the Philosopher” determine their interpretation of God’s Word. St.Maximus the Confessor exemplified the attitude of many Eastern Fathers when he held (in II Ambigua 42) that Jesus was a man like us in all things but sin and that therefore His assumption of our humanity from the moment of the Annunciation signified that we, too, become fully human from the moment of our conception. Nowadays one often hears that such and such a holy priest, or bishop, or even a Pope believed in evolution, so how could it be a dangerous doctrine? But Adasevic’s visitation suggests that if even a saint and doctor of the Church could be wrong about an hypothesis in natural science—with deadly results—how much more could modern Church leaders be deceived by a more far-reaching theory, with far deadlier consequences? There is a lot at stake for the pro-life movement in the origins debate. Human life is sacred from the beginning. Abortion at any stage is murder. The human soul is the form of a particular human body. But what if a subhuman primate could “evolve” to the point where it could “receive” a human soul? This would mean that the same body that housed a human soul was the body of a modified brute whose animal soul was replaced by a rational human soul. This would seem to give plausibility to reincarnation—the transmigration of souls—and to the equally pernicious idea that ensoulment takes place at some point after conception. What if the “parents” of the body that became the “fine-tuned” body of Adam were themselves “brutes”? This would mean that the bodies of brute animals would be deserving of honor as the ancestors, in a real sense, of all mankind and would give credibility to Peter Singer’s proposal to give chimpanzees the same legal rights as human beings. What if the body of the first human being was the fruit of the sexual union of two brute animals? This would mean that human sexuality comes up from the lower, irrational animals, rather than down from above, as a finite reflection of the love of the Most Holy Trinity. What if the animal ancestors of Adam and Eve (and of us all) practiced promiscuity, polygamy, polyandry, or adultery? On the other hand: What if the common teaching of all of the Fathers on the creation of Adam and Eve were boldly proclaimed from every pulpit in Christendom? 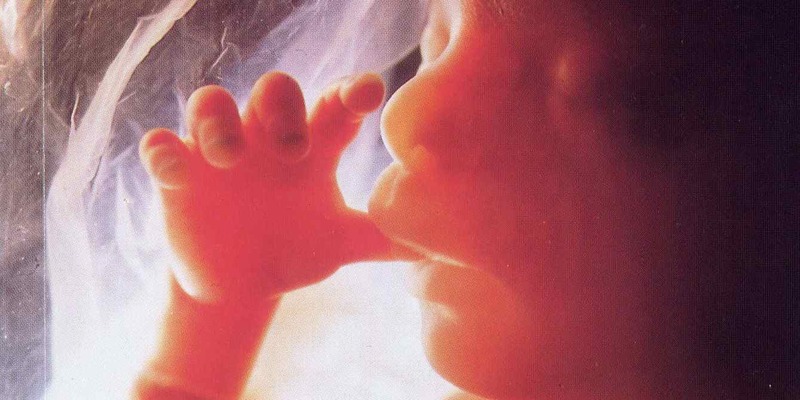 Then the faith of all Catholics in the dignity of the human person from the first moment of life would be strengthened, and it would no longer be possible for Catholics to use evolution to trivialize abortion, as some do now. Therefore, the time has come for the pro-life community to recognize the strong link between evolution and the culture of death and to work and pray for an authoritative papal affirmation of the traditional Catholic doctrine of creation. 1 ST. JOHN OF DAMASCUS, On the Orthodox Faith 2:12. 2 ST. GREGORY OF NYSSA, On the Making of Man 28-29. 3 Quoted in THOMAS WOODS, How the Catholic Church Built Western Civilization (Washington, D.C.: Regnery, 2005), p. 87. 4 ST. THOMAS AQUINAS, S.Th. I. q. 45, a. 8. 5 ALEXEY KONDRASHOV, Journal of Theoretical Biology, 1995, 175:583. 6 Cf. MICHAEL K. RICHARDSON ET AL Anatomy and Embryology, “There is no highly conserved stage in the vertebrates; implications for current theories of evolution and development,” Vol. 196, No. 2, Springer Verlag, Heidelberg, Germany, 1997, pp. 91-106. 7 JANE OPPENHEIMER, Essays in the History of Embryology and Biology, MIT Press, 1967, p. 154. 8 GAVIN DE BEER, Embryos and Ancestors, Third Edition, Clarendon Press, Oxford, 1958, p. 172. 9 PETER H. RAVEN and GEORGE B. JOHNSON, Biology, 6th ed,, McGraw Hill, 2002, p. 1229. 11 ALFRED HAUSSLER, The Betrayal of the Theologians, Human Life International, 1982, p. 2.